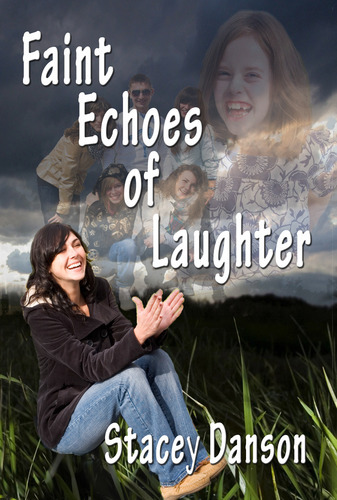 Faint Echoes of Laughter…. the shocking and spirited sequel to the much-praised ‘Empty Chairs’. Life on the streets of Sydney was preferable to the nightmare Stacey Danson had survived in the hell that was home. She hit the streets running at the age of eleven, and armed with a flick-knife and a fierce determination to live a different life, she began the journey from the 1960s to today. For those that came to know ‘Sassy girl’ in ‘Empty Chairs’, and for those caring people that asked how her life worked out from there, ‘Faint Echoes of Laughter’ continues the story. For those that haven’t met her yet, this book stands alone as a tribute to the kindness of strangers, the loyalty of true friendships and the way things really are on the streets of any town …. anytime. That blurb came from amazon.com. My thoughts on this book started out very good. I was so excited to see how her life was going and how determined she was to change her future and leave her past. Both books are hard to read. As I continued reading toward the end of the book, I become sad, knowing it was going to end but also seeing that this girl, who survived the worst things imaginable as a child and then also while she lived on the streets, didn’t ride off into the sunset and live happily ever after. The only way I can sum up her adult life is – content. I’m so sorry Stacey, that you had to suffer by the hands of the one person who was supposed to protect you. I’m sorry that the past was always following you around even into your adult life. I’m sorry that things didn’t turn out the way they should have for someone as brave and amazing as you are. I’m so sorry. If you see someone living on the streets, think about all the things they “may” have gone through to survive. Imagine that they might have come from a bad past, or are fighting war demons, or have lost everyone who loved them. Imagine what’s it’s like to always wonder where you will sleep each night, knowing you can’t ever have a regular place to call home. Imagine the pain in their belly as they ask for food money because they haven’t eaten in four days. Imagine how hard it is to walk around in our society, dirty, smelling, and think about how sad that must make them as they see how all of us look at them. Imagine the next time you are sitting comfortably on your sofa during a thunderstorm or snow showers, while others may be laying under a bench, shivering. Just try to imagine. This book has changed how I look at homeless people. We don’t know their stories, so who are we to judge. Sure, there may be some who choose to be homeless, or have just been on the streets for so long, they don’t know how to change that so they claim to be happy with their situation. Stacey met some great people who helped change her life. The kindness of people can go a long way so next time you see someone, think if there is anything you can do to help them. Most people just look the other way. But if you have something to offer, then offer the help. If you don’t, that is fine, but at least give them a respectful smile and well wishes. These two books will forever be with me. Stacey’s real life story has touch my hear, my soul, and my life, in ways that I never thought would. Bless her for sharing this horrific story with the world. Go and read them, you may or may not feel the same way, and that’s fine. But you should still read them.